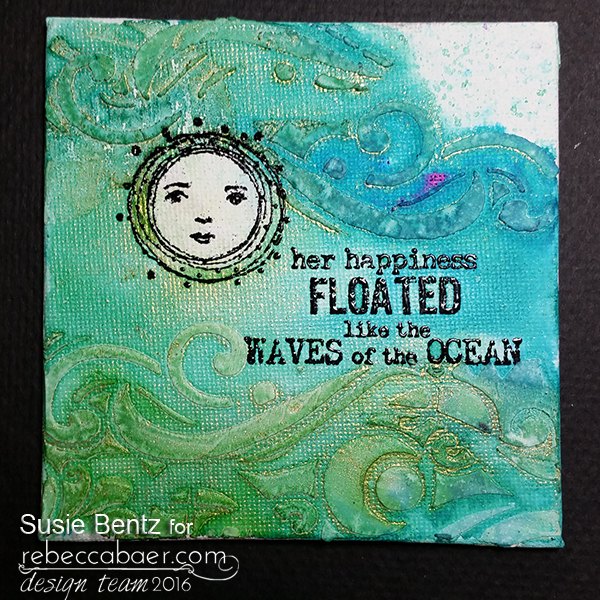 Mixed media canvases are absolutely my favorite way to play! 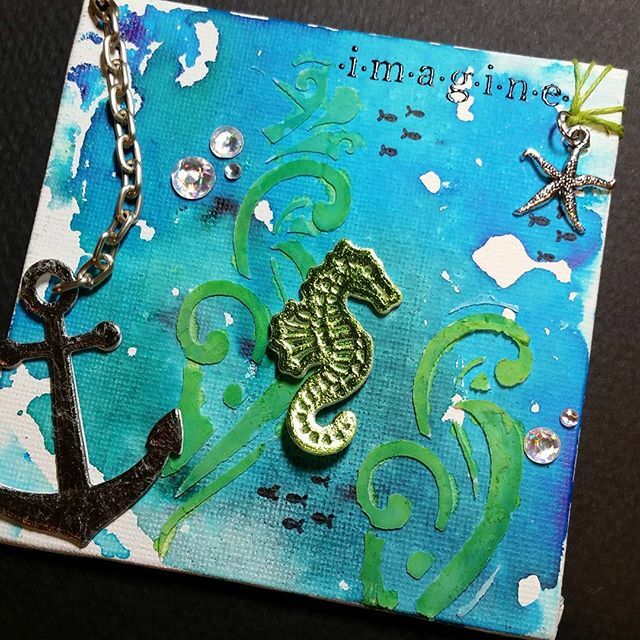 More specifically, I love playing with mini canvases for pretty much the same reason that a lot of people like to play with tags. It is a small, manageable format to experiment with techniques, materials, colors and textures. 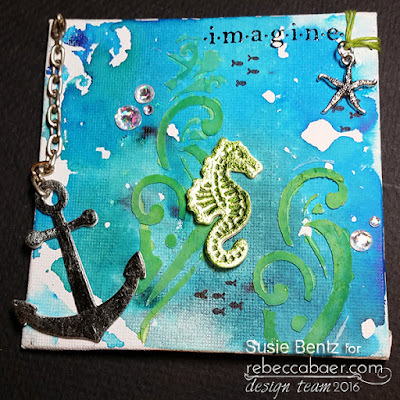 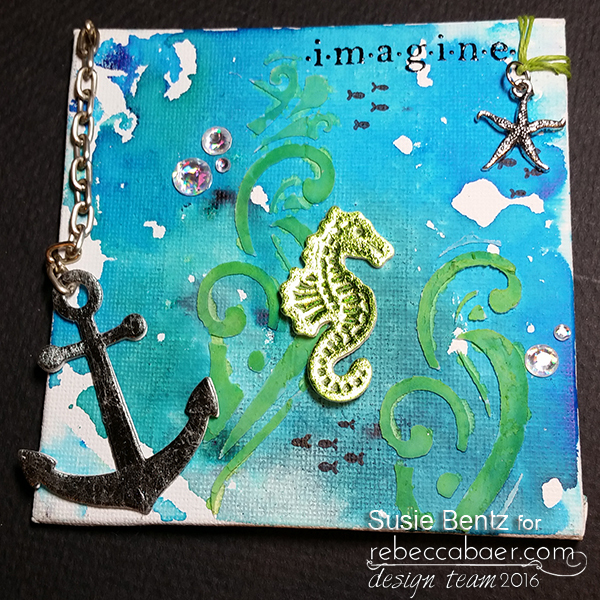 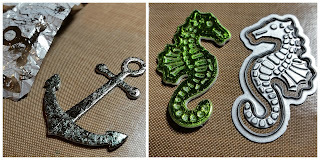 Today I am going to share a pair of 4x4 ocean themed canvases that I created using the collage style Mosaic canvas from Rebecca Baer Designs. 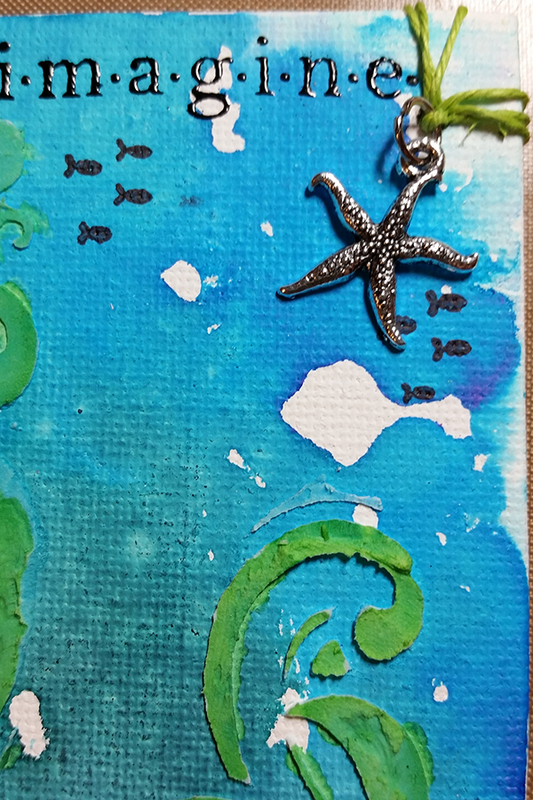 I started by applying Whipped Spackle onto a canvas through the small size Mosaic stencil. You can see that I used washi tape to mask off portions of the stencil that I did not want to use, choosing to emphasize the wave-like swirls. 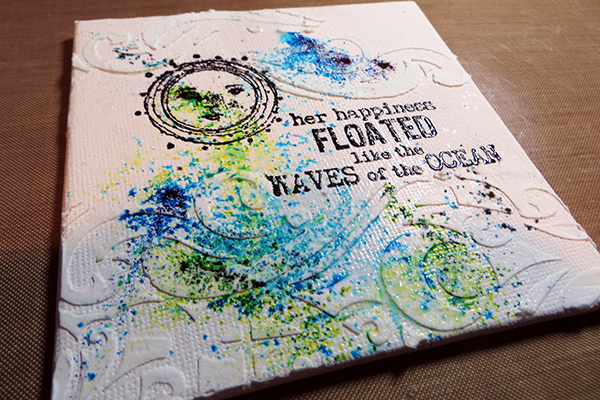 I stamped and heat embossed the image and sentiment in the open space I left in the center of the canvas. 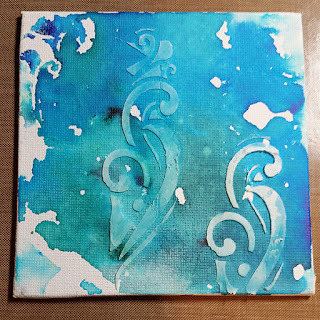 After the texture paste dried, I sprinkled Ultramarine Blue and Lime Green Color Burst water color powder on top of the canvas and spritzed it with water. 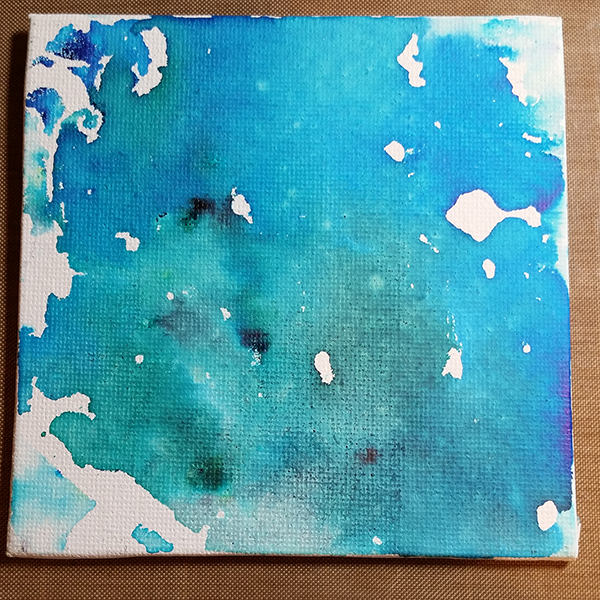 I used a brush to blend the colors and move them around the canvas, allowing higher concentrations of color to pool around the raised texture. 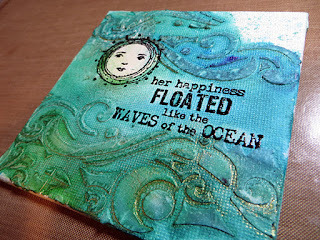 While it was still wet I added a couple drops of Metallic Saffron Liquid. 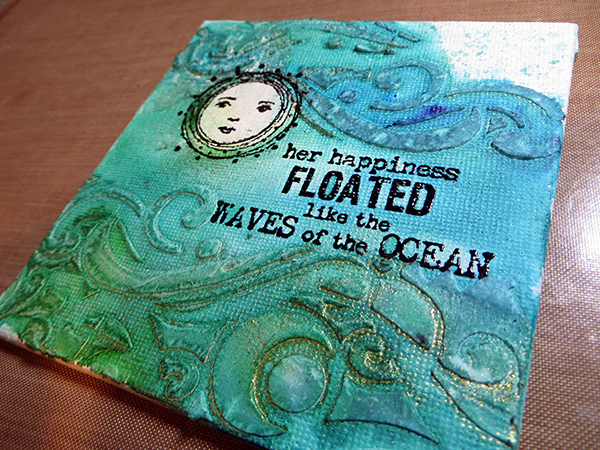 The shimmer looks amazing in real life and it really accentuates the swirls of the "ocean." 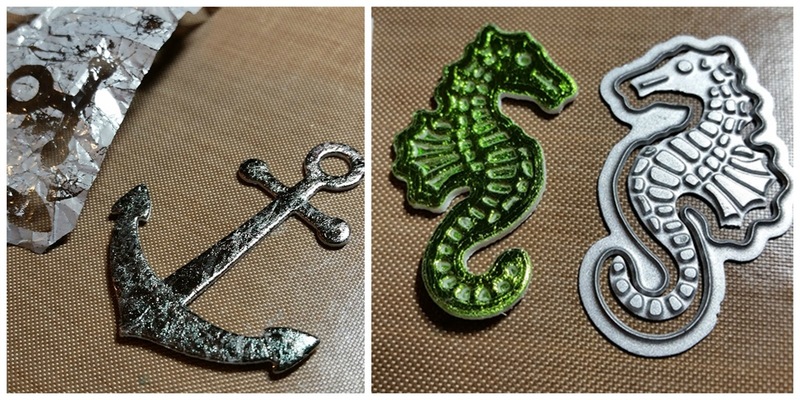 My next canvas takes us below the waves where we find a seahorse tangled in an underwater kelp bed created with the Mosaic stencil. 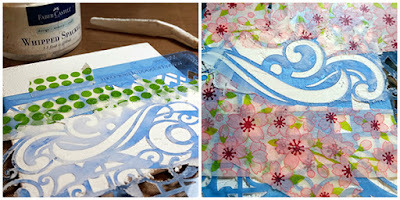 ...before adding Whipped Spackle through the stencil. 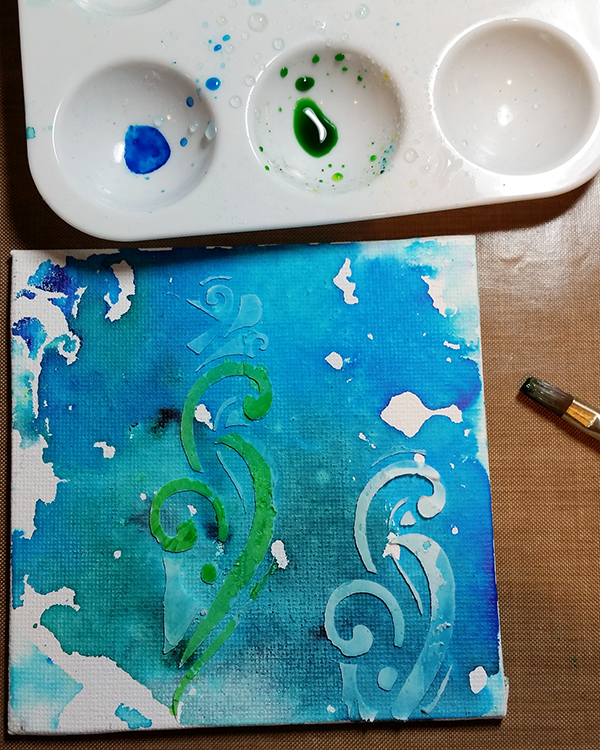 Again, I masked off areas so that the swirls are the featured element from this stencil. I used a paint brush to apply Lime Green Color Burst from my pallette directly onto the raised texture. 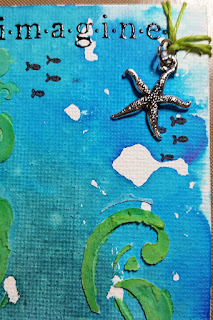 ... and dotting the canvas with fish stamps and irridescent rhinestone "bubbles".